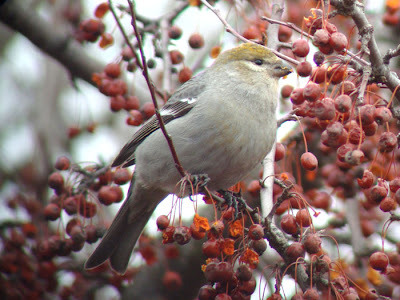 For the longest time I have been unable to find a Pine Grosbeak in the southern lower peninsula. Not that they're common there, but enough do show up from time to time that one would expect to see it over a fifteen year birding career. 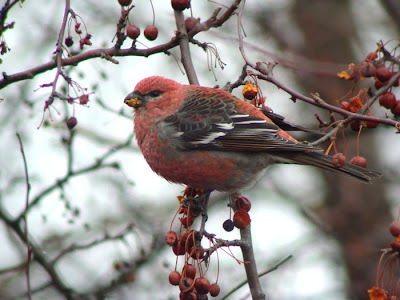 Today, while visiting family in Lapeer I decided to take a stab at seeing a flock which has been reported throughout the winter visiting berry trees in the Lapeer State Game Area. I was rewarded. And females are beautiful in their own right! 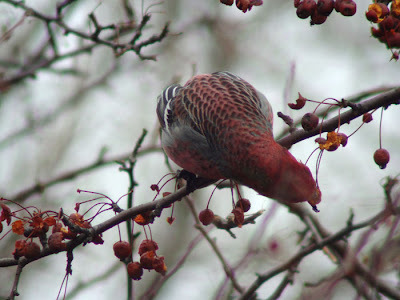 We watched as the birds busily tore apart the dry, fleshy pulp of these berries, discarding the majority of the berry and eating whatever their first bite garnered them. 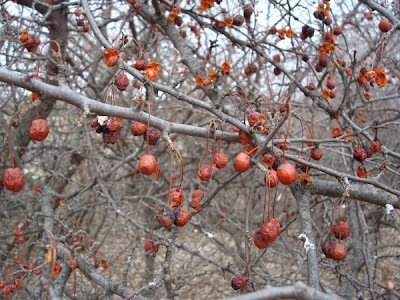 We noticed that there were some trees with larger berries (left) than the much more numerous small berries (right). 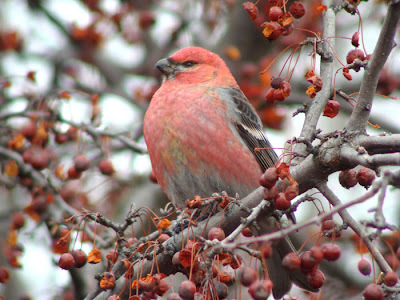 Could someone relieve me of my ignorance and tell me what species of trees these berries come from? 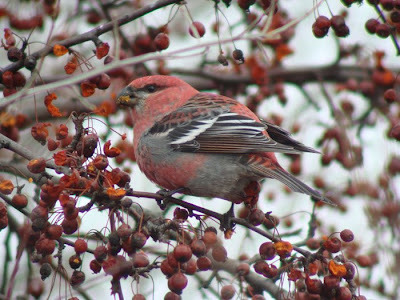 Is the small berry Highbush Cranberry? 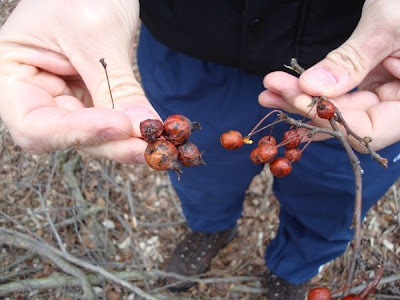 The larger ones on the left (in your right hand) look a bit like rose hips to me...I'm not sure what the smaller ones are.